Mendota MN. 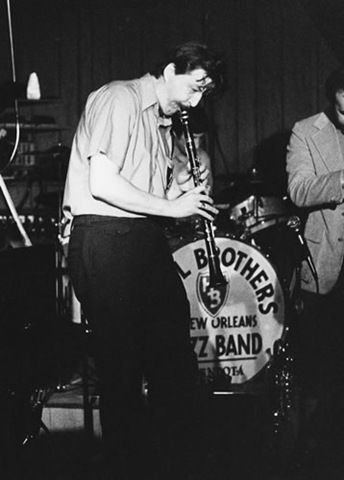 I first knew it back in the 80s as the home of the Hall Brother’s Emporium of Jazz, a great venue for New Orleans music, up until it closed in 1991. It’s the place next to Mendota Heights. It’s got a bridge, one end of which dumps motorists further south along Highway 55 across from Ft. Snelling. If you look over the railing as you tool along you’ll see running water, lots of trees and what seems like miles of backwater ponds. It’s the place I always hope my plane will avoid as it descends to the runway and skirts the ridge on the north bank. Here’s two good factoids. 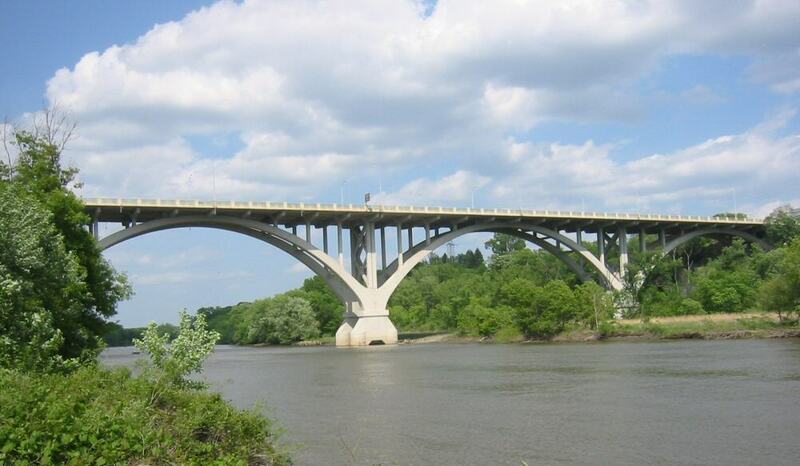 It’s the last bridge that crosses the Minnesota River before that river and the Mississippi join and … it was the longest concrete arch bridge in the world when it was built in 1926. 1926? I guess I’ll be making that crossing a little quicker in the future. We’re all a little bridge shy here in Minnesota. Well, this place wasn’t always known as Mendota. Or was it? 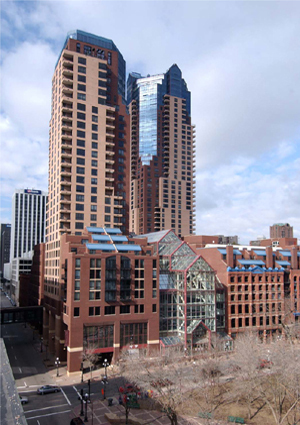 The name was St. Peters back in the early 1800s when it loomed large in Euro-American happenings in the west. 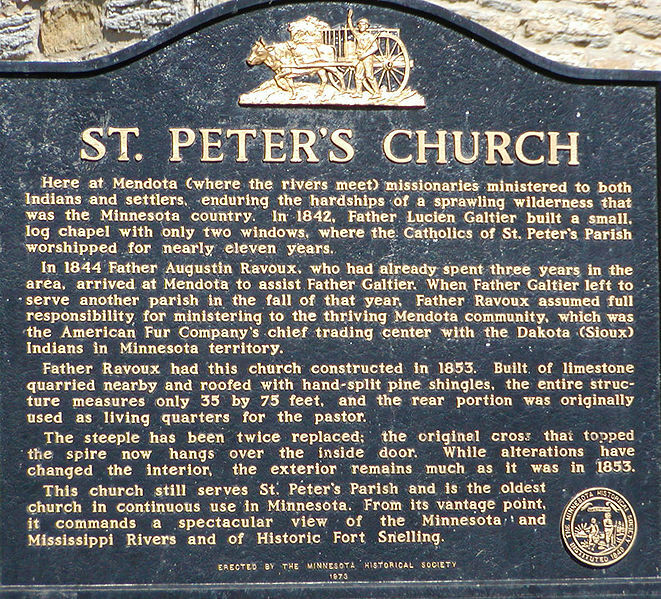 It was home to what’s reported to be the oldest church in Minnesota, aptly named, St. Peter’s, and founded by Father Lucien Galtier back in 1842. He went on to build an even more famous Plaza in downtown St. Paul. Personally speaking, I’m glad Mendota dropped St. Peter’s and became Mendota, again. In Dakota, mendota is the word that means, “where waters meet” and indeed, two giants meet right here, with the Minnesota flowing in from the west and the Mississippi from the north. This was a longtime village site for the Dakota people and spiritually very important – still is. 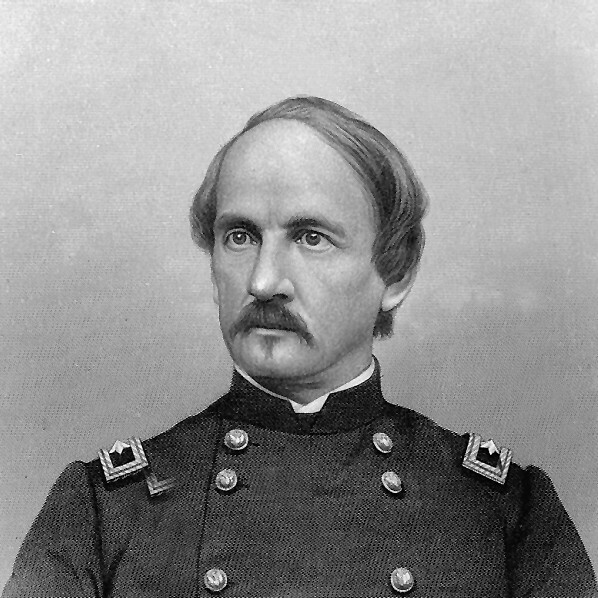 Zebulon Pike recognized it’s strategic military significance when he negotiated with the Dakota to purchase a site there. 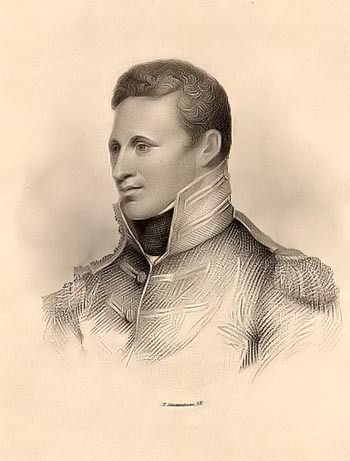 Here’s wiki’s summary – The 1805 Treaty of St. Peters or the Treaty with the Sioux, better known as Pike’s Purchase, was a treaty conducted between Lieutenant Zebulon Pike for the United States and Chiefs “Le Petit Carbeau” and Way Aga Enogee on behalf of the Sioux Nation. The treaty conducted on September 23, 1805, purchases two tracts of land: nine-square miles each at the confluence of the St. Croix River about what now is Hastings, Minnesota and confluence of the Minnesota River with Mississippi about what now is Mendota, Minnesota, for the purposes of establishing military posts at each of the two sites. A military post was not established at the confluence of the St. Croix with the Mississippi, but Fort Snelling was established on the bluffs overlooking the confluence of the Minnesota with the Mississippi. 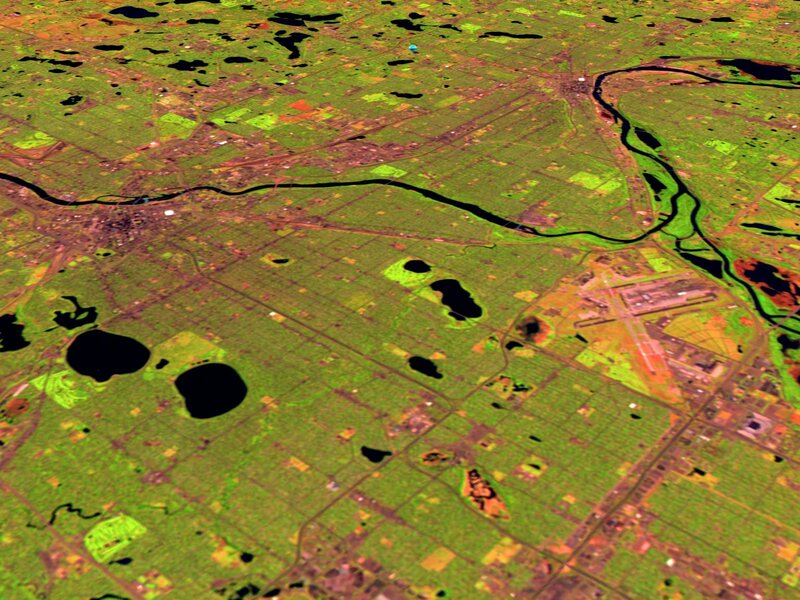 By 1810 serious settlement of this site was taking place. After the war of 1812, the United States built a chain of forts and installed Indian agents between Lake Michigan and the Missouri River. The fort across from St. Peters was constructed in 1819 to keep the British out, maintain peace between Sioux and Ojibwe, protect the “legitimate” commercial interests, and keep white settlers out until treaties permitted it. in the Minnesota Historical Society, dated 1970, written by Rhoda R. Gilman entitled, Last Days of the upper Mississippi Fur Trade (Go to 42:123 fur trade ). 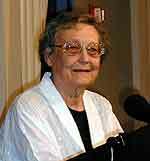 A scholar and editor of the Minnesota History Press, she wrote eloquently and bravely about the fur trade in Minnesota and spoke truths about the major players in that enterprise that may have been difficult to voice before the Indian civil rights movement in this country. Here’s some of what I got from the article. Read her yourself at the link above for a broader recount. Henry Sibley, Minnesota founding father was ambitious, intelligent, and an astute businessman. He and others “extracted” from the Indian lands the only commercial product they were allowed by treaty, furs. They made their fortunes on the cheap labor of the Native Americans in combination with yes, tax payer’s money, those annuities guaranteed to native Americans by treaty. 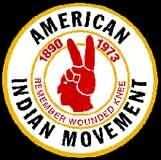 They did this skillfully and sometimes ruthlessly enabling them to re-capture this money flowing from the government to the Native Peoples. At times they boasted about it. The Native Americans bought the trader’s goods and received the traders credit or cash for their furs – often at inflated prices in a tightly controlled market favoring the traders. With the St. Peters Treaty of 1837, the Ojibwe sold vast tracts to the government allowing for settlement. Sibley and others had the foresight to see that in a short time, extracting furs would not pay as dearly as land sales, timber, mining and farming – and they shifted accordingly. With this treaty and the others, traders received hundreds of thousands of dollars in lump sums to settle claimed debt owed them by tribes and loss of revenue due to the incursions on their commercial monopolies in the territory. Hey, it was business. Sibley and others, wealthy and powerful, moved into government as Minnesota evolved towards statehood. Like most places in lands that have changed hands over time, the real history evokes mixed feelings. Mendota, the place where “waters meet” was and is sacred to Native Americans. It was also a place where for those who occupied it, they could influence/control the goings on of the inhabitants who traveled the waters of the great Mississippi and Minnesota rivers. The Dakota understood this. So did Pike, Sibley and others who prospered by doing so. It was both a beginning and an end – the beginning of Euro-American dominance and the end of the Native American’s. It’s where I’ll be putting in. This entry was posted in Fur Trade, Minnesota River, Mississippi River, Native Americans and tagged Dakota, Fort Snelling, Mendota, Ojibwe, Zebulon Pike. Bookmark the permalink.